In order to keep your garden trees/bonsai in optimal condition, it is necessary to have them regularly pruned in the proper way. 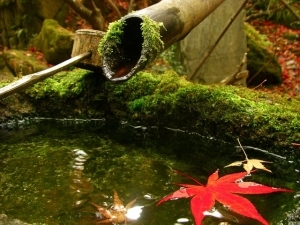 Lodder Bonsai is specialized in maintaining bonsai and gardens. Through years of experience, we know exactly what needs to be done for every tree variety and for every season. Whether it is a single tree or a garden, one-off or annual maintenance, we can help you in different ways. In addition to maintenance, we can offer design ideas of landscaping. In collaboration with gardners we can offer a complete solution of design and installing a Japanese garden according to your wishes. We offer this service in the Netherlands as well as in other countries. Our knowledge and experience in this area is unique. We are happy to talk to you about the possibilities.